Our third president farmed, and failed in quite a spectacular and yet illuminating way, as Modern Farmer’s Thomas Jefferson”s Farming Failures reveals–“When it comes to agriculture, few have persevered more in their failures than Thomas Jefferson.” His was a philosopher’s wonder as he walked the fields and forests of Monticello. In a letter to Lafayette on April 11, 1787 he writes, “I am never satiated with rambling through the fields and farms, examining the culture and cultivators, with a degree of curiosity which makes some take me to be a fool, and others to be much wiser than I am.” But along with curiosity the Monticello farmer also sought social change. In a letter to John Jay, dated August 23, 1785, Jefferson wrote, “cultivators of the earth are the most valuable citizens. they are the most vigorous, the most independant, the most virtuous, & they are tied to their country & wedded to it’s liberty & interests by the most lasting bands.” To James Madison he wrote on October 28, 1785: “the earth is given as a common stock for man to labour & live on.” On August 14, 1787 Jefferson wrote George Washington: “Agriculture … is our wisest pursuit, because it will in the end contribute most to real wealth, good morals & happiness.” Summarizing the pursuit of public service, Jefferson declared in 1800: “the greatest service which can be rendered any country is to add an useful plant to it’s culture; especially a bread grain.” Here’s a view of the kitchen at Monticello, photograph by Tim Ford. 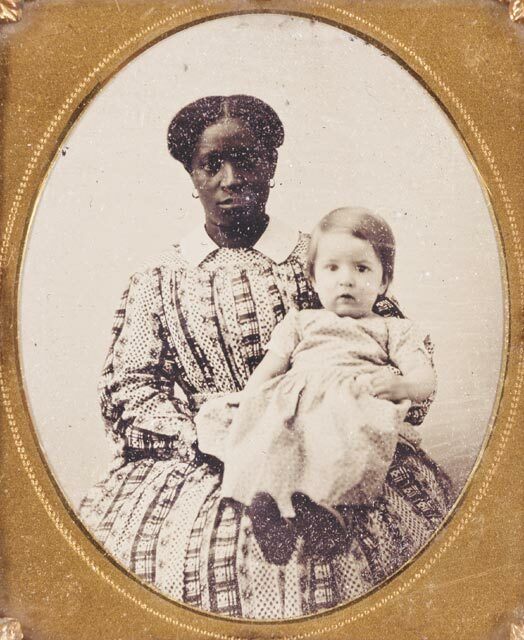 Depicted in this 1845 daguerreotype is Lucy, a slave at Monticello, who was sold a year after Thomas Jefferson died. To maintain his agricultural wonder and his farm, Jefferson, of course, owned slaves. As many as six hundred in his lifetime, and in 1817 one hundred resided at Monticello, at a time when the highest slave population at an individual plantation was one hundred and forty seven. 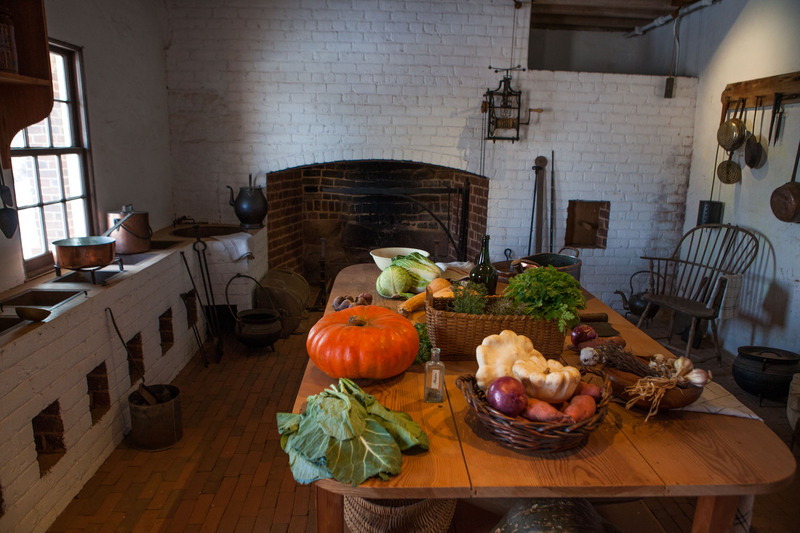 The Smithsonian’s The Dark Side of Thomas Jefferson explores this other side to America’s philosopher-farmer; and for us, the example remains disturbingly relevant. 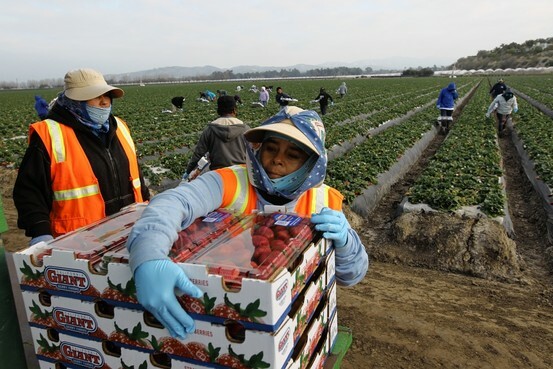 As the Huffington Post reported last year in Farm Worker Conditions Likened to Modern Slavery, the wages and working conditions endured by migrant farm workers challenge their ability to survive–one farm worker dies every day. 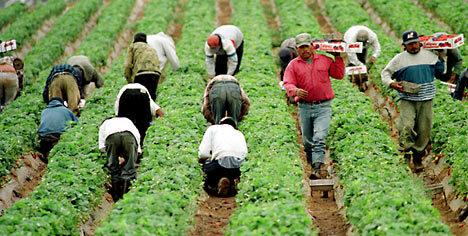 Migrant Farm Workers: Fields of Tears in the Economist in December 2010 focused on the hazardous journey workers make in order to arrive in the United States and become part of “vast undocumented workforce that undergirds America’s food supply.” Strawberries are known as la fruta del diablo. Farm work has, for most crops, become no easier since Steinbeck’s day. Strawberries, the crop the Vegas started out with, are nicknamed la fruta del diablo (the devil’s fruit) because pickers have to bend over all day. “Hot weather is bad,” says Felix Vega, but “cold is worse” because it makes the back pain unbearable. Even worse is sleet or rain, which turns the field into a lake of mud. The worst is picking while having the flu. To these concerns add ruined soil, and pesticide-contaminated fruits, vegetables, land, rivers and streams. To these concerns add the slow extinction of the small, American farm; the disappearance of culinary knowledge, and with it cultures and traditions within thousands of families. The answer? Well, to begin shaping an answer? Awareness. Universities like New York University at Steinhardt offer Nutrition and Food Studies programs for undergraduates and graduates, which weave together the above concerns so students may see how depleted soil, loss of crop-rotation, elimination of heirloom varietals, and low wages connect, and how solutions involve local and global responses, such as the Center for Food Security and the Environment at Stanford University. Research areas include climate and agriculture, aquaculture, biofuels, crop and livestock systems, agricultural innovation, deadly connections, and food and nutrition security. At The Center for Creative Work at The Honors College, University of Houston we look at all of these issues through the creative and critical engagements of artists such as Judy Chicago, Suzanne Lacy, Theaster Gates, Julio Cesar Morales, and David Robbins and through the banquets/performances of our students at DiverseWorks and the University of Houston. 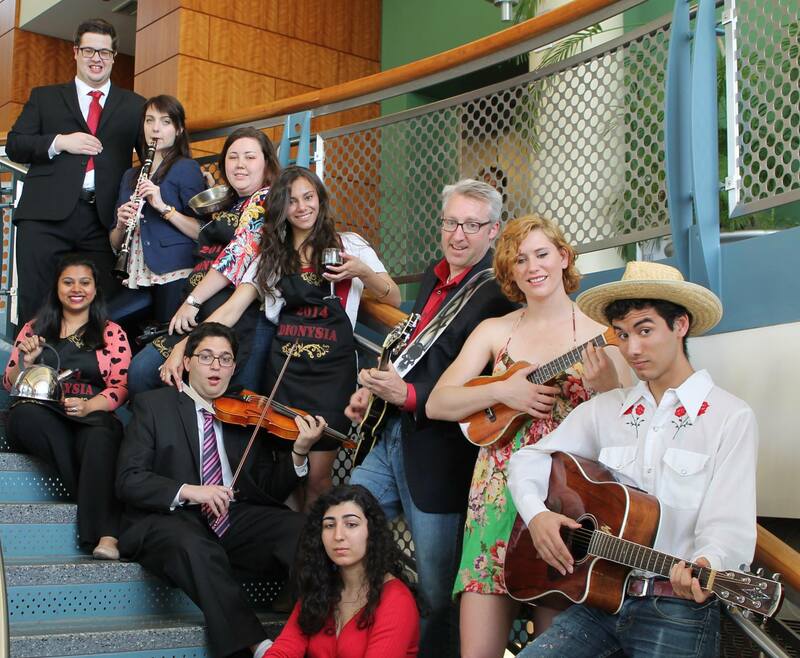 Here are some of our cooks and performers from the banquets we held at The Honors College as we presented our yearly festival this past spring, the Dionysia, celebrating all the eating, music and storytelling in the Odyssey. This fall semester we offer Eat, Drink, Argue, Heal: The Poetics and Performance of Food which will explore the culinary world of hunger, malnutrition, whole foods, and sustainability. Through texts ranging from antiquity to our contemporary world, our class will research dining tables, hospitals, kitchens, farms, cuisines, empires, laboratories, and restaurants for who we have been, who we are, and who we will become–and of course we will cook for the community, offering the local food and culinary traditions of our area, our students, and all that we’ve learned. The goal is that through a single meal offered in hospitality we will tell you a story of the world. 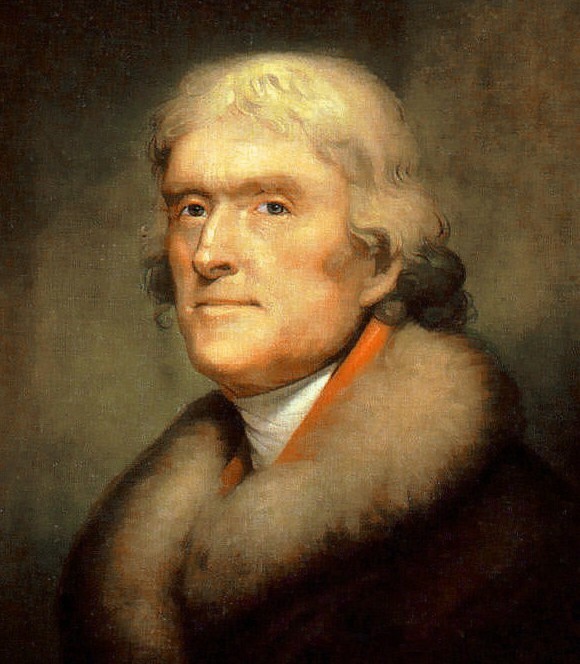 Later in life, at the age of seventy-six, Thomas Jefferson founded the University of Virginia. He designed its buildings, planned its curriculum, and left most of his library to the university upon his death. It’s fitting to return to this element of Jefferson’s life, as much as it is relevant to read his statements on farming, including his reliance upon slavery. Answers may be difficult to find, but one place they may thrive is where young people gather to engage with their past and their future. Next Next post: Your Food Is Brought To You By . . . .